All drivers know that our interstate highways are crowded with trucking companies hauling cargo to destinations throughout the United States. The Code of Federal Regulations addresses requirements for proper cargo securement. These regulations are found at Title 49, Chapter 3, Parts 392.9 and 393.1 through 393.136. These cargo securement regulations are quite specific and provide commodities specific regulations for machinery, logs and other products. 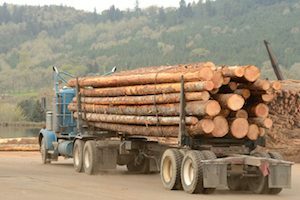 Obviously, the general requirements include specified performance criteria for the securement system being utilized by the trucking company. The regulations also require a certain number of tie downs to secure the load according to the length of the cargo and the weights involved. Whatever the cargo is, it must be restrained sufficiently to prevent rolling or shifting during transit. Additionally, of course, the regulations require that the drivers of the interstate trucks carrying the cargo must periodically inspect their load to make sure that it has been properly secured. In virtually any accident involving a falling cargo situation, the Code of Federal Regulations will be implicated because the regulations themselves set forth the specific requirements for the safe and proper securement of cargo being transported in interstate commerce. The improper securement of cargo obviously can result in serious personal injury claims with life altering consequences. Accordingly, in any traffic accident involving falling cargo, it is imperative that an investigation be conducted as soon as possible to evaluate why it is that the cargo fell off the truck. Clearly, if proper securement regulations had been followed, which are designed to prevent all such incidents, the accident would probably have never occurred. Thus, typically, in any case involving falling cargo, there will be a violation of the Code of Federal Regulations, but as is true of any legal case, it is imperative that an investigation be conducted as soon as possible so that the issues can be carefully examined.